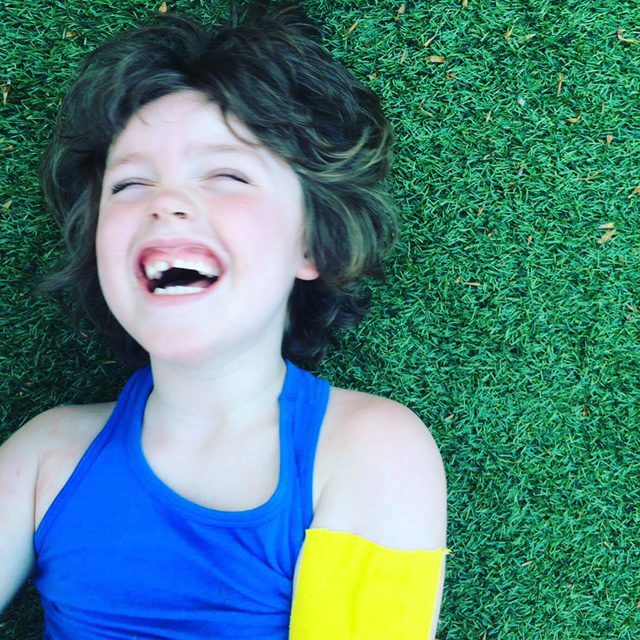 Our little boy Arlo was diagnosed with Type 1 Diabetes in September 2015. This blog is to help me, help others and more importantly a story for Arlo to look back on when he is older. I would like to share with you and to others our story in the hope that it might help those who like us are trying to find our new normal. There are three main events in the Peace calendar that we look forward to every year. Camping with the nursery gang, Glastonbury festival and our annual pilgrimage to Ibiza’s Camping Cala Nova which we have been coming to for the last three years, since Arlo was diagnosed. In fact it was right here in 2015 that Arlo started to become symptomatic. Not that we knew that at the time. 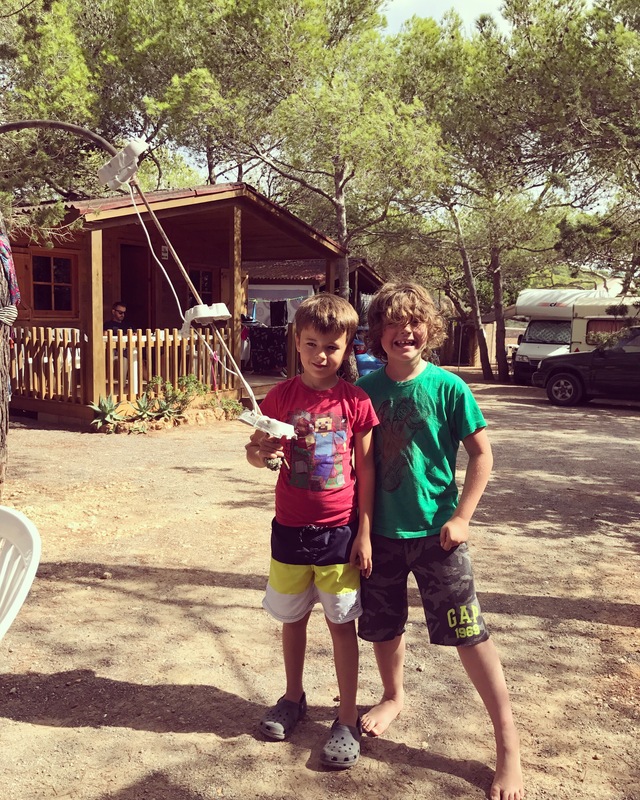 It is right here in Camping Cala Nova our journey with type one diabetes began. I still cringe at the memories of my sister and I trying to get Arlo to eat Jam baguettes when he really didn’t want to, given him litres and litres of water to drink, and loving the afternoon nap times on the beach where we would all fall asleep under the umbrella or I got to read more than one chapter of my book. 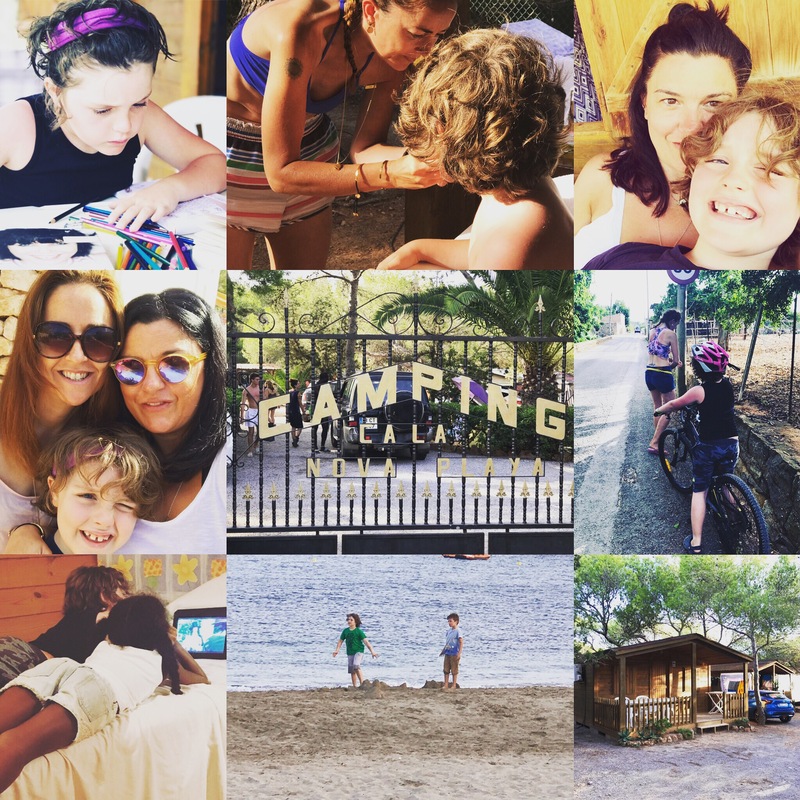 Holidaying Peace style is a family and friends affair. Holidays include Aunties/sister,nanny’s/ mum, cousins, old freinds and new friends. Arlo loves it here as much as we do and has made friends along the way who, like Arlo have been coming here year after year. Arlo always makes reference to his diabetes starting here, he has spoken of feeling safe here. It’s the one place we can all relax and feel safe. 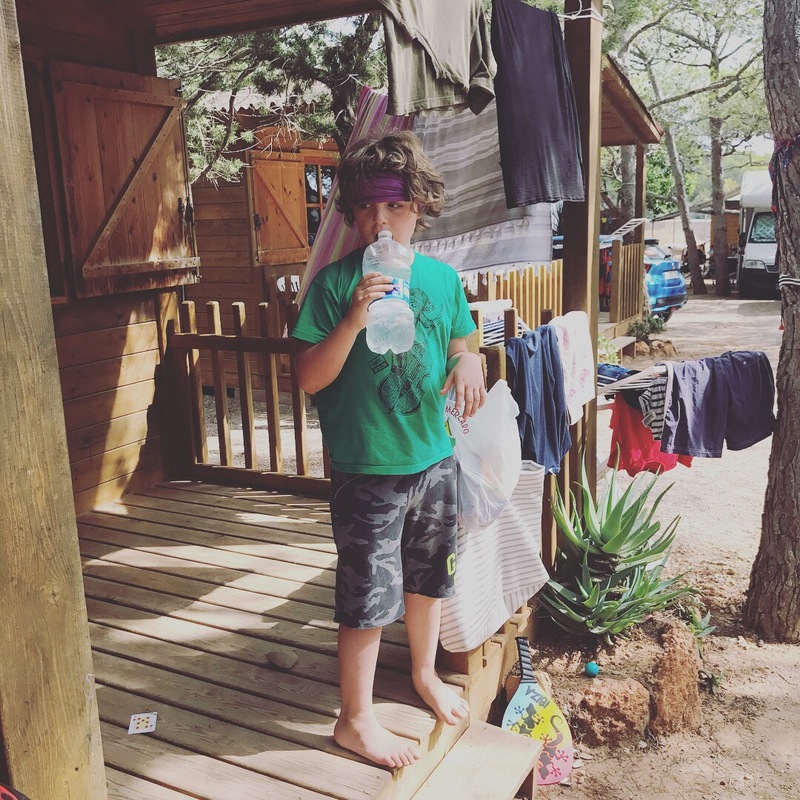 Beach life with type one is tricky for whoever is looking after Arlo and for Arlo himself. It starts with the packing of the beach bag. 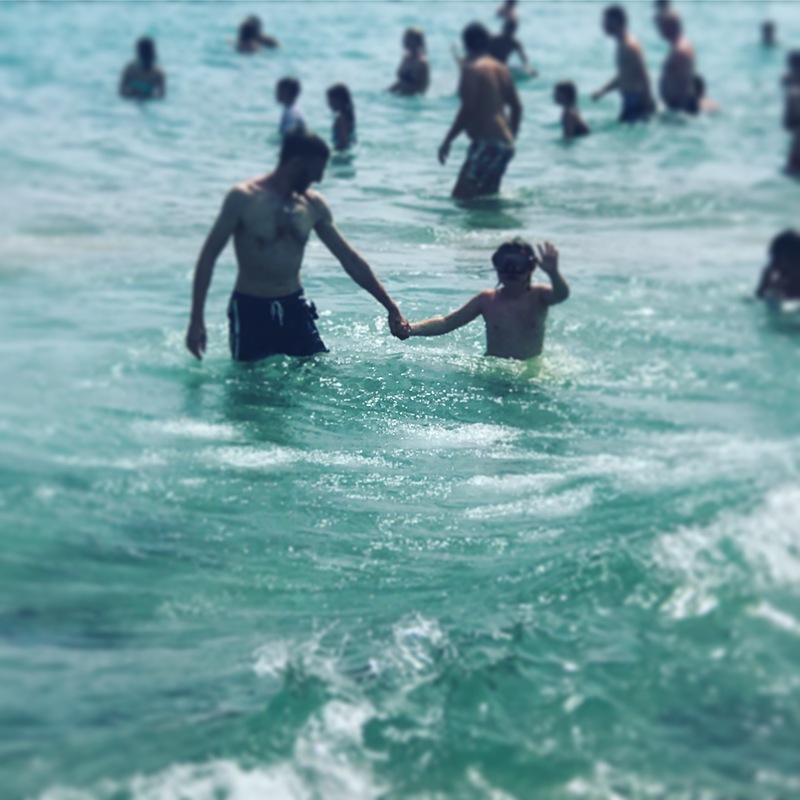 Packing to spend the day at the beach with kids is always going to involve one big beach bag and 1 or 2 inflatables, now add the diabetic equipment that you need to take. Insulin pen for injection which needs to go in the Frio bag which no doubt you have forgotten to re submerge in the water to make it useable again. So whilst you are quickly making the frio bag reusable you then think about what else you need. Food for hypos, blood glucose monitoring kit and strips, two finger prickers (just in case one doesn’t work), needles and lots of them, a box to put the needles in, Spare cannulas, a box to put all the above in and then finally another box to put the pump in. Once you have got everything sorted and your down the beach your next challenge is trying to avoid getting sand in anything to do with type 1 which is no mean feat! When at home we use the freestyle libre and Medtronic continuous pump that involves a cannula, however here we have learnt over the years that for a 7 year old boy spending most of his beach life jumping waves and climbing onto inflatables cannulas and scanners will come off or become blocked with sand. Unless we tape them up or continually tell Arlo to stop doing what he is doing or be careful (which we have chosen not to do) there is very little that can be done about it. We have to smile through the annoyance and get the insulin pen and finger prick out. Attempting to use the blood glucose monitor is not as easy as you think in the glaring sunshine you’re trying to see if the blood has hit the scanner, trying to see what the number is on a boy with salty finger tips who just wants to get back in the water. This is the only time Arlo gets a bit pissed at his diabetes, when he has to sit out the waves to treat his hypo. Warm pinapple or sweaty sweets anyone?! As I have said in previous posts type one isn’t a “one size fits all” management style. Every one is different. For Arlo we have learned over the years that beach life makes his numbers low so we throw away our “at home” care plan. Remove the pump for day time only putting on for the bolus insulin. We don’t have any back ground insulin at all during the day. The pump goes on at bedtime for the night. We’ve had the best numbers here whilst on holiday. Which makes all the faffing about with pumps and finger pricks worthwhile. Every year we are here we ask ourselves the question, can we move here? We tell ourselves let’s move here. 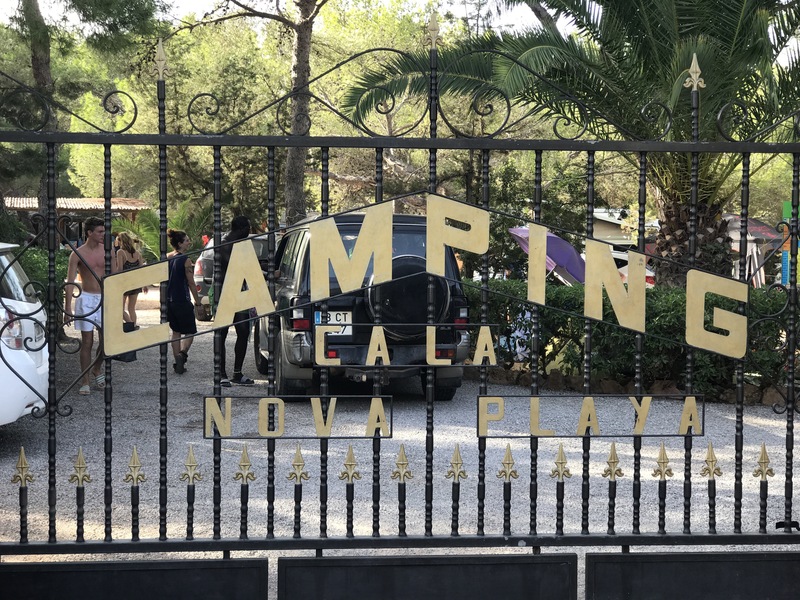 We know that one year it may happen but until then we will continue to look forward to our annual pilgrimage to camping Cala Nova, a place that we will return to year after year. A place that holds a special place in all our hearts. This entry was posted in Tales from the Peaces and tagged beach, Cala Nova, Freestyle libre, glucose, ibiza, insulin, Medtronic. pump, parent, type one diabetes on August 16, 2017 by vixterpeace. Going on a jet plane. Walk a mile in our shoes…..
Ilse Leenders on 3 Years …. Ilse Leenders on Then this happens ….